The CUNY Graduate School of Public Health and Health Policy (CUNY SPH) Foundation is pleased to welcome Pamela Wheeler to its Board of Directors. Wheeler is a woman of firsts. She was the first woman appointed to lead a professional sports union, was the founding Director of the Women’s National Basketball Players Association (WNBPA) and negotiated the first collective bargaining agreement in women’s professional sports. As founding Director, Wheeler created the organizational infrastructure of the WNBPA and was responsible for improving the lives of professional women basketball players both on and off the court. Whether through collective bargaining, establishing programs for players or developing alternative income sources, she consistently implemented strategies that resulted in significant advances for WNBA players. Under her leadership, player benefits, salaries, and resources increased by 300 percent from 1998 to 2014. In addition, Wheeler consistently worked to enhance the working conditions and social welfare of WNBA players both during and after their playing careers. She championed women’s health issues and social justice by advocating for maternal health benefits, maternity leave and gender pay equity. To that end, she implemented and administered a myriad of Association and joint labor/management programs, including anti-drug, graduate school tuition reimbursement, career assessments & apprenticeships, financial planning and Rookie orientation. Prior to the WNBPA, Wheeler was the Director of Business Development for the Continental Basketball Association, where she finalized stalled negotiations with New Line Cinema to create a national branding platform based on merging sports and entertainment. Before that, she served as General Counsel & Marketing Manager at Bob Woolf Associates, creating sports and entertainment marketing programs for institutional clients and negotiating marketing agreements for athletes. She earned a BA from Dartmouth College and a JD from Boston University. 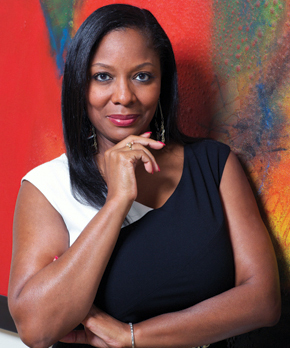 She has been profiled in a number of traditional and sports publications, including the Sports Business Journal, Sports Illustrated, Black Enterprise, and Essence Magazine. View the full board of directors here!